No longer is ecology relegated to college classrooms and elementary school Earth Day activities. These days, ecological implications weigh heavily in many people’s daily decision-making process, from the cars they drive to the food they feed their families. As long-time providers of high quality wild-caught seafood, we’ve seen a huge shift in societal focus, even in the past decade. 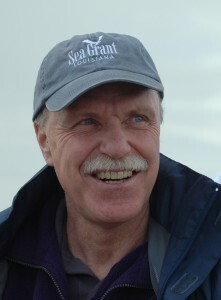 Professor Ray Hilborn, Ph.D., works at the University of Washington’s School of Aquatic and Fishery Sciences and is a global leader in fisheries research. Dr. Hilborn has been researching the ecological implications of wild-caught seafood compared to other leading protein sources (namely farm-raised chicken and beef). His conclusions are striking. Comparing the amount of carbon produced, the natural resources consumed, and the impact on nearby ecosystems per pound of food, wild seafood always came out better than conventional livestock. Read more about Dr. Hilborn’s findings in Earth Easy’s feature about his work. ← Global Spotlight Series: Next Up…. Your artilce perfectly shows what I needed to know, thanks!